Give out samples to bloggers who will review your product. Do your research and compile a list of at least 5-10 people who may take your product. Make sure the blogger is willing to use the ingredients in your product and make sure they actually do reviews (i.e don't email people like me for reviews). If you want to sell locally, then look for popular local blogs. If you want to sell internationally, include international blogs. Remember that this is a global world though, the readership of a blog is often not connected to the location of the blogger (ask for figures from the blogger). Not many of us are willing to try non-major label brands in full pack sizes. It is worth creating a small pack with a combination of 3-5 of your main products so that those who want to try before buying can do so. These can be sample sizes sufficient for 1 or 2 applications, enough to give a taste of what the customer will get. These packs do not have to be free, you can sell them! Once more, if your business is new, you may want to have incentives like free delivery or regular offers (10% off) to be able to get people interested in your product. Take it as an advertising cost. If you have a website, have a section dedicated to who you are and why you created the business. 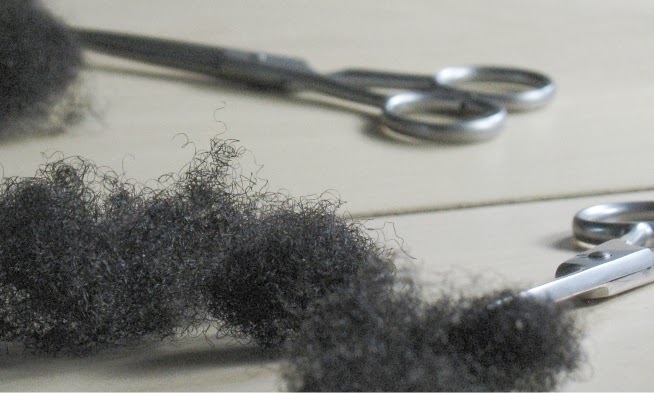 The natural hair industry is driven by people who have real stories about their hair - tell yours and phrase it well so people know that you are invested in the care and management of their hair. In this day and age, making a good website with clear links is really vital and is a simple task that can be done by anyone. If you do not have the time to spend learning how to make a good site, please make the small investment to hire someone who can. Make sure you have great pictures (not good - great!) and if possible a real life model or models with natural hair. We are in a world where everything (especially on a computer) has to be clear, crisp and quick. If your site does not look nice, it is not ready for the world to see. - Do not claim you product can grow hair (it does not). - Do not claim your product is the leading conditioner (yet nobody ever heard of you). - Do not claim your product is better than another leading brand (you are just advertising for the other brand here). As hard as it is, if you are just introducing a mild shampoo, why should a consumer pick yours over their current choice? Tell us why your product is different and why it is worth trying. Are you using unique ingredients, is it a handmade product, is it suited to a particular texture..........state what makes it worth a try. If no one knows you exist, no one knows you exist. Be active in the format you find most comfortable or in every format you know of. If a blog or vlog is what you like, do it earnestly. If you prefer facebook, do it well, interact with your customers. If you have not promoted your product today, you are slacking. Do everything you can to make sure people know of and are speaking about your product. Do giveaways either in your local area or online via your own site or through other people's sites. Never forget the power of pounding the pavements. If you live in an area with natural salons, visit them and see if they would be interested in carrying your product. Make a yearly advertisement budget for all potential costs (free delivery, giveaways, reviews and direct advertising) and spend it wisely through the course of the year and not in one burst. Your word is everything in a new business. I know of people who have won giveaways and did not receive their prizes. I also know of people who thought an ingredient was in a product but later find out that it was not. Good business means keeping your word, by all means ensuring that your customer gets your product and your product is what you advertised. Don't harass people who write bad reviews. And don't get your friends to harass people who write bad reviews. Usually, a bad review will tell you EXACTLY what was wrong with a product. Use that information to think about what you may want to change in the future. Wow that is really bad Alice! Just hopping on to say thumbs-up on no. 6. I keep telling people that even scientists will never commit to anything. A proper one who has done research knows that there are way too many variables (different people using the product, ingredient stability - especially if you are dealing with natural ingredients e.t.c) to state clearly that any product can at a 100% for everyone. *Can work at 100% for everyone. I am in the process of buying/trying new product lines by YouTubers. I was really impressed with one that had samples of everything that you could buy. I'm looking forward to reviewing them to see if they will make my long-term-support list.